The judge at the center of the Brock Turner case is facing new criticism. Organizers with the campaign to recall Judge Aaron Persky are pointing to a recent case involving a football player who is on probation for battery. Keenan Smith, who plays football for the College of San Mateo, is scheduled to appear in court on Tuesday. The District Attorney's Office has requested a probation hearing after Smith failed to show up for community service. "We have yet another instance where a college athlete is given break after break despite committing violence against women," said Michele Dauber, spokesperson for the Campaign to Recall Judge Persky. Dauber said the legal system has failed two victims who were attacked by a sophomore football player at the College of San Mateo. Smith, 20, served about a month in jail for throwing his girlfriend to the ground in a parking lot in Sunnyvale last year and beating a bystander unconscious when they stepped in to help. Smith is required to complete community service. Court documents show the work scheduled made it possible for Smith to attend Saturday football games in the fall. 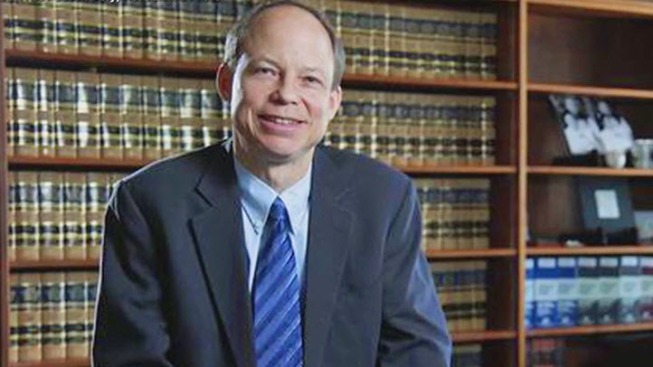 Persky was the judge who issued the sentence. "The fact that Judge Persky clearly sent the message that football was more important than violence against women," Dauber said. Dauber is on the Campaign to Recall Judge Persky, which began after the Brock Turner case. The former Stanford swimmer served three months of a six-month jail sentence for sexually assaulting an unconscious woman. Following that case, Persky voluntarily asked to be reappointed to civil cases. "I feel like my client has been caught in the cross fire because of the political nature of everything that is going on with the recall effort," said attorney Barbara Muller, who representing Smith. Muller said her client is complying with his probation requirements, including domestic violence education classes, but she admits he was a no-show for a community service work day due to a football game. Smith is still listed on the College of San Mateo's football roster. A spokesperson for the college said they will monitor the case.